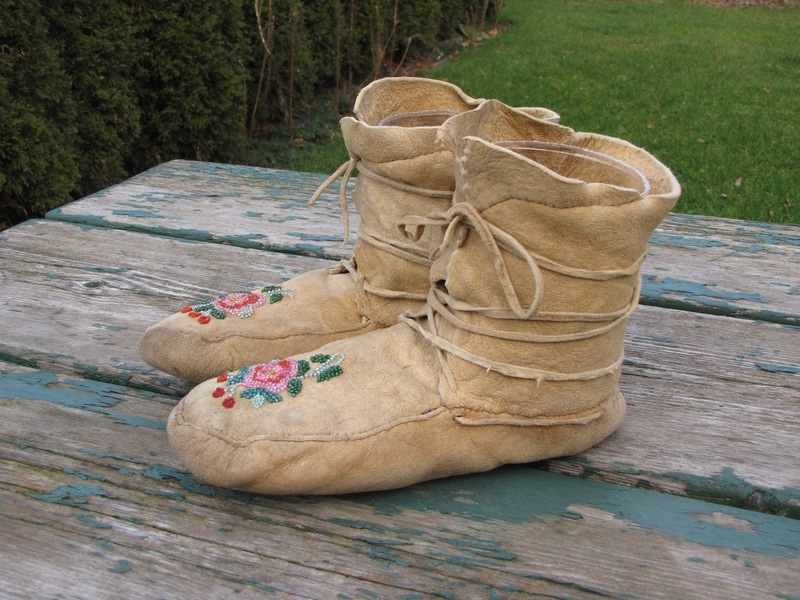 A pair of moccasins collected in Alberta in the 1960's. These are Dene made, full size and in good condition. 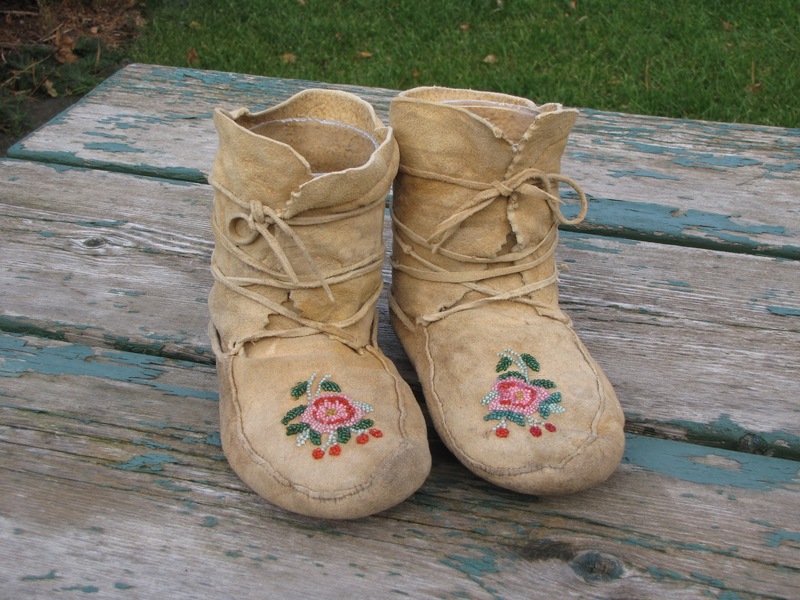 A similar pair is in the McCord Museum exhibit on native attire. 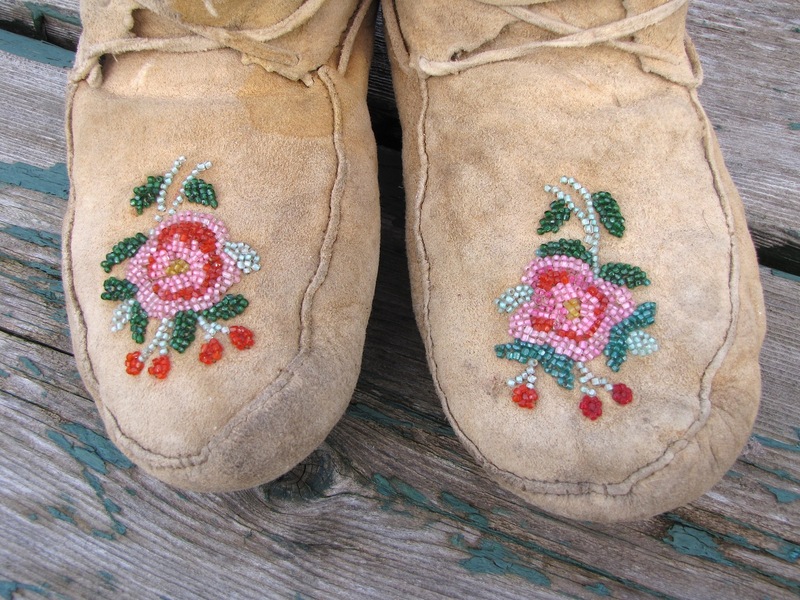 There is no beadwork loss, all the ties are complete and there are no wear holes. They do have minor wear from use. It is unusual to find a pair in such good condition.